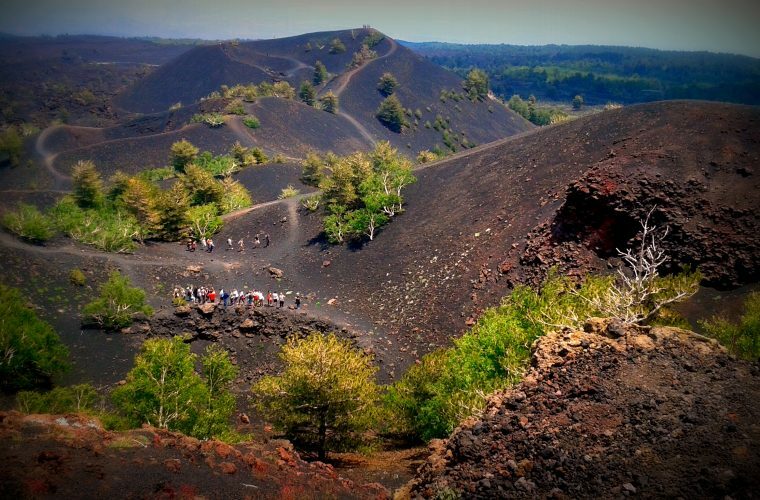 Etna morning Tour gives you the possibility to discover the beauty of the southern side of Mount Etna in just half a day in the morning! For this half day Etna morning tour we provide for pick-up service at your accommodation or in the close vicinity, with 8-seats vehicle. First stop : While walking among eccentric craters like the Silvestri Mountains, and singular lava formations, our naturalistic guide will introduce you to the fascinating volcanic phenomena (the itinerary usually takes place on the south side of the volcano). You will admire ash deserts and lava lunar landscapes. Second stop : You will admire the famous Bove Valley from a panoramic spot, accessible by a not so difficult hiking trek in the middle of suggestive lunar landscapes. A natural stage where often the most spectacular lava eruptions are. In a clear sky day the summit crater will be visible in all their beauty. 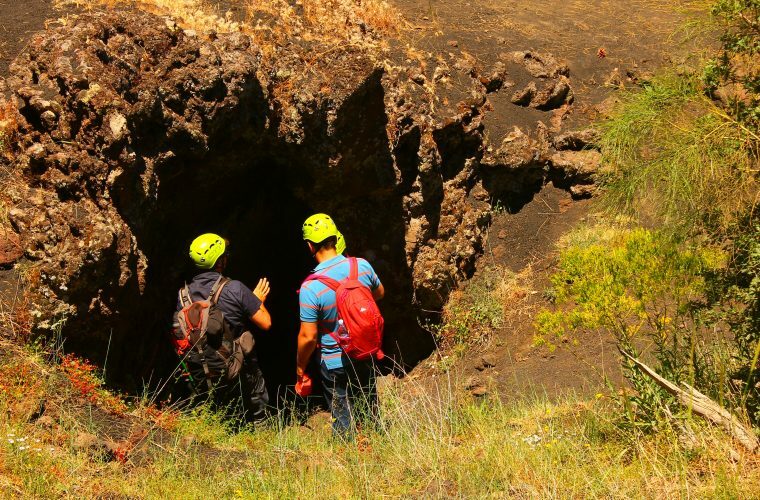 Third stop : Explore Etna’s lava caves while our friendly and knowledgeable guide will explain the fascinating volcanic phenomena. You will visit an interesting lava flow cave (Cave of Thieves or Cave Cassone). We will provide for free equipment: helmets and lights. You will also stop for a tasty Sicilian snack and a good glass of wine that we offer you. Excursions take place at a maximum of 2000 meters. When: Available every day of the year! 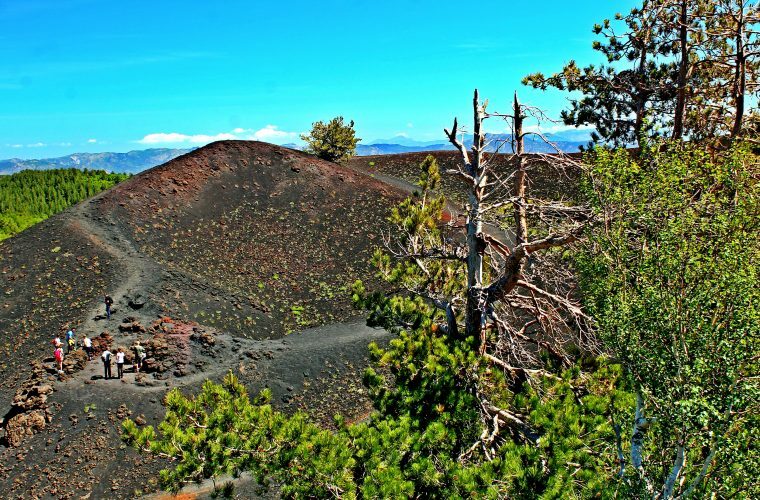 The Silvestri Mountains (or Silvestri Craters) are two pyroclastic cones formed in the north of Nicolosi, at an altitude of 1,900m, at the slopes of the Etna volcano. 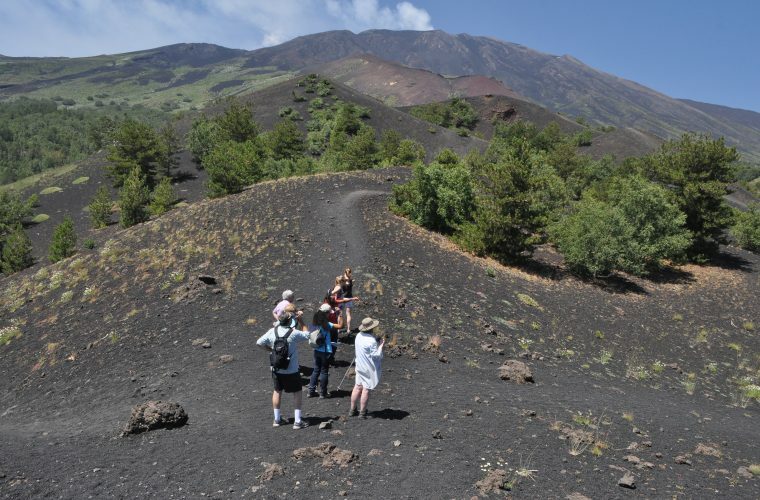 Their formation dates back to the eruption of 1892, which lasted 5 days: they are today among the most famous cones of the entire volcanic building and they are in the famous tourist area of Sapienza Shelter, close to the Etna cableway.